The Chancel Choir rehearses each Wednesday evening from 6:00-7:00pm in the sanctuary and ministers during the 9:00 service on Sunday. 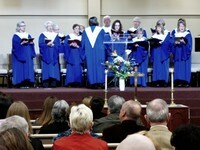 In order to meet the varying worship needs of the congregation and of the choir members themselves, the Chancel Choir seeks to do a variety of styles. No previous background or knowledge of music is required or expected of the singers; however, those possessing a fundamental knowledge of music will find it helpful. Each year a Christmas Cantata is presented and special musical offerings take place during the Easter season. 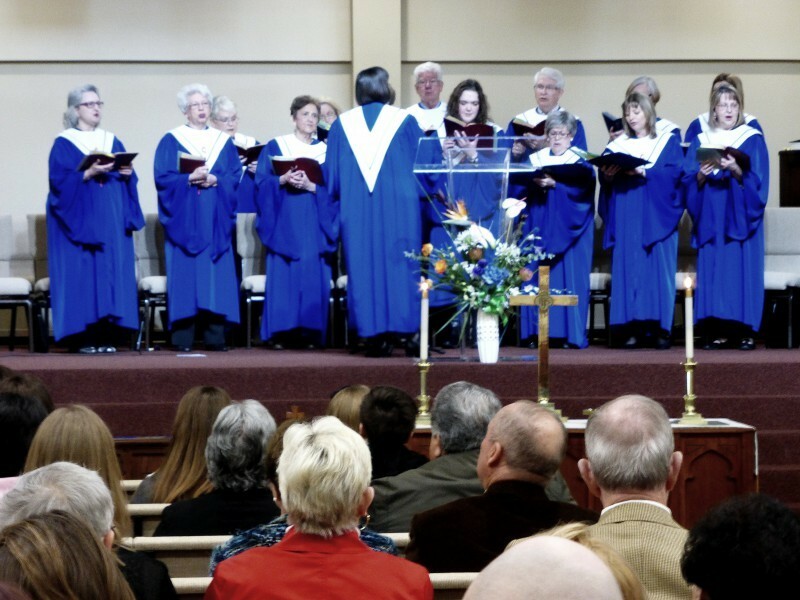 The Chancel Choir is a group of people who seek to "make a joyful noise unto the Lord" and who share an active ministry to each other and members of the congregation.